Established almost four decades ago in the United Kingdom, Michael Page is today recognised by clients and candidates the world over as the leading specialist consultancy in permanent recruitment, temporary staffing and interim management. From more than 150 offices in 35 countries, our consultants offer clients ranging from SMEs to global blue-chip organisations exclusive access to a pool of (inter)national talent. 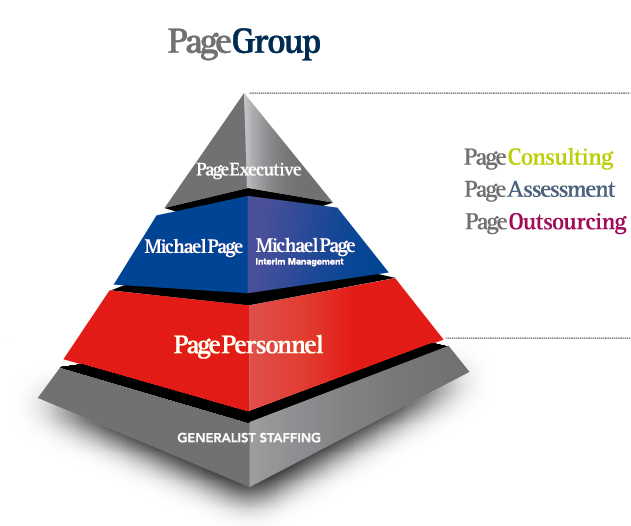 Along with Page Personnel and Page Executive, Michael Page is part of the PageGroup, which has been listed on the London Stock Exchange since April 2001. Michael Page maintains a strong track record of successful recruitment at qualified professional and management levels. You can contact us to discuss your hiring requirements, or get more information on our services . • Local expertise – global reach: We championed the specialist approach to recruitment, now an industry norm. Our Recruitment Consultants offer in-depth knowledge of the marketplace, sector, job level and geography. • The right candidate guaranteed: We assess and screen our candidates thoroughly, which allows us to present to you the best professionals with a proven track record in your sector. Should your new hire leave within six months, we will find an appropriate replacement completely free of charge. • A results-oriented approach: Our fee-structure is based primarily on success, with a signiﬁcant element of the fee being related to satisfactory completion of a placement. • Tap into top talent: We quickly meet your recruitment needs by monitoring the best candidates in the ﬁeld, building a continuous talent pipeline and maintaining one of the world’s most extensive candidate databases. • Quality standards: Our professional, end-to-end service has become the benchmark for quality in recruitment, with thorough candidate assessment, reference checks and post-placement follow-up. • Breadth of coverage: Against a company-wide backdrop of vast industry knowledge, our Recruitment Consultants are experts in their specialist. You can contact us to discuss your hiring requirements or please submit your CV if you’d like to be considered for job opportunities.